So often books by Masonry are created solely from the fervent imagination of an author who, whether from a desire to push an agenda or wanting to ‘get rich quick’, will totally disregard facts and make things up as they go along. We’ve placed these books in a section we’ve called “Contrived and Imagined” so as to note that they have little contact with facts and reality. Regrettably, these are some of the most popular and well-known to the public. Although any book can contain some errors, a few books about Freemasonry are SO egregiously wrong yet are presented as fact. For this reason, we’ve placed them in their own section in order to avoid any misunderstandings on the part of uninformed readers. It’s far too easy, particularly when first beginning to try and understand Freemasonry, to get one or more of these books and think they’re ‘the new truth’ when, in fact, they’re nothing more than fantasy. 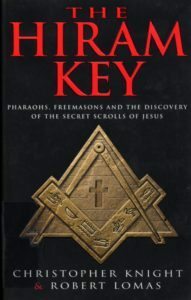 The books in this section should not be confused with those which are written to deliberately misrepresent Freemasons and Freemasonry (see our section on Anti-Masonry) or those written expressing a subjective point of view (such as those in the area of philosophy). These books are, quite simply, false to fact! If they were just ‘opinion’, stated as such, things wouldn’t be too bad but when they assertively state that they’re right and others are completely wrong…. Well, they’ve crossed the line – and Masonic researchers have the right (and responsibility) to point out the veracity (or lack thereof) of their claims. Shadings of the truth to fit one’s preconceived notions occur throughout written history. Particularly in an area where precious few are trained in the disciplines of research and writing, there are bound to be errors. When, however, things are simply ‘made up’ out of apparently thin air and/or are so far from the norm that acceptance of them could cause anyone to go astray in their thinking, it’s appropriate to note the problems – which we’ve tried to do in the comments section of the Grand Lodge Library Catalog. While some Grand Lodge librarians are mere ‘keepers of the collection’, others are avid Masonic researchers and scholars and can provide intelligent insight into the various books so as to avoid your wasting time on things which can be little more than lies! Although it had a large sales volume, “The Hiram Key” has become the ‘classic’ example of an ostensibly non-fiction work which is SO far from reality that it’s laughable. The authors will make an unsubstantiated claim and a few pages later, cite their own fancy as fact. It is foolishness of the highest order and books of this ilk should NEVER be considered ‘real’, particularly as it involves Masonry.